Stussy was birn in Benton County, Missouri, Jan Stussy was a California painter who specialized in watercolors, oil paintings, prints, and murals. 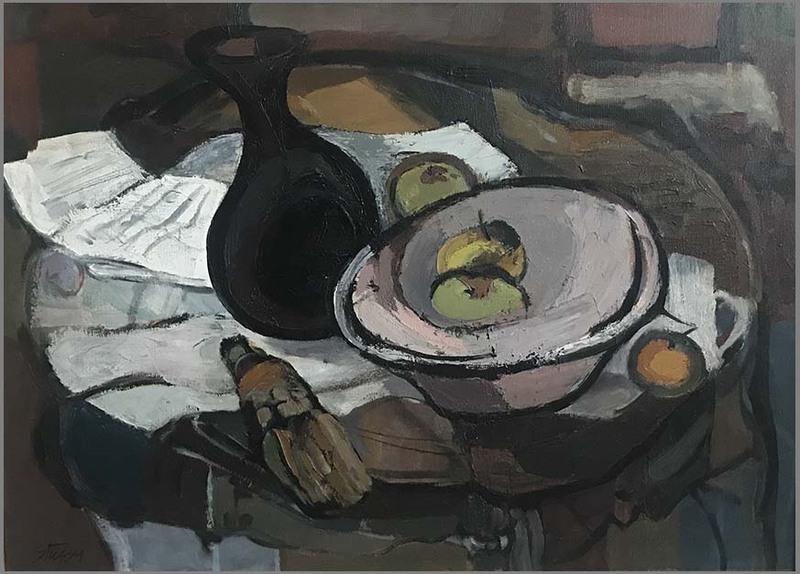 He was a student at the Art Center School in Los Angeles with Barse Miller and also studied at the University of Southern California, and Long Beach City College. Other teachers included Stanton MacDonald-Wright and Frances de Erdely. Extensive travels took him to the Orient, Europe, and South America. He served in the Navy during World War II and returned to California after the war. 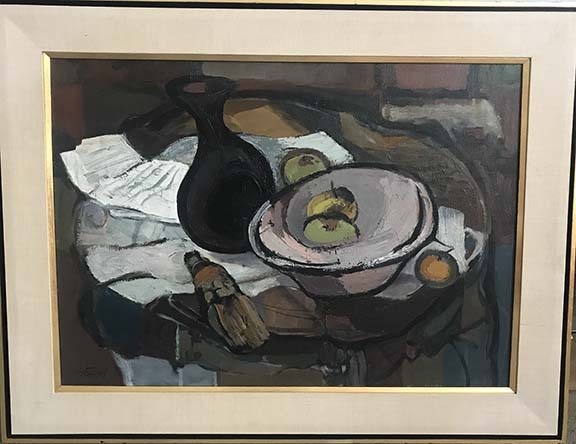 He exhibited regularly with the California Watercolor Society and did many abstract still lifes and figurative subjects. From 1946, he was an instructor of art and later professor at the University of California in Los Angeles. He was also a technical consultant in the movie industry and did art commissions for large corporations. Exh: Calif. WC Society, 1942-55; American Contemporary Gallery (LA), 1944; Artists of LA, LACMA, 1948; County Fair (LA), 1949; UCLA, 1951.